JJ: All lives that are a higher octave in evolution than yourself are one with God in their consciousness and thus your prayer to the Father will be picked up by the entity most suitable to answer it. Most often it is your Higher Self, sometimes it will be a person from the Spirit World, once in a while it will be a Master. If your prayer does not ascend to a higher octave it may be processed by your higher mind and its assistance can be given. The Ancient of Days shares awareness of all lives on the planet, but does not respond to them individually. He touches all lives through a hierarchical or Molecular Relationship. Many helpers has He. The Christ is the title held by the Spirit that was in Jesus as we taught earlier. Just as the human body has seven centers so does the planet Earth. 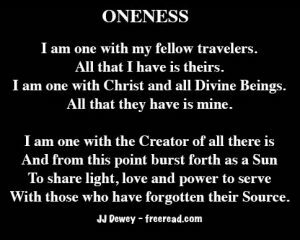 The Brotherhood of Light, often called the Masters of the Hierarchy, is the heart center and as an expression of love/wisdom energy is presided over by the Christ. Shamballa corresponds to the Head Center and is an expression of Will-Power-Purpose and is presided over by The Ancient of Days who is called by many names, most commonly Sanat Kumara. He is the Father in relationship to Christ as well as the whole planet. Moses spoke with his Higher Self who was linked with the Masters. The Ten Commandments were written by the hand of Moses while in the translated state. This was why his face shined like the sun when he came down from the mountain. It was said that the writing was done by the finger of God because Moses was in the Godlike state and one with God while he wrote the law. He lived in this state for 40 days without food or water. Christ will go to the great solar system of Sirius where an advanced lodge of the Brotherhood resides. There he will complete his 8th and 9th initiations. He will leave here the first to achieve what he did and the greatest of the human family and will enter schooling there as a neophyte. Thus the eternal principle, the first shall be last and the last first, works itself out. When he leaves he will be replaced by the Master KH who will assume the position of the Christ for the planet. DK tells us that when our current Christ completes his initiations on Sirius he will return to our planet in the far future and assist us once again. The entity who was Melchizedek entered into the body of Jesus at his baptism. This is the one who still holds the office of the Christ and is the same who must make His presence known to fulfill the prophecies of the second coming. He will “reign a thousand years” and then move on to higher learning. The other entity who was Joshua, from the time of Moses, was born as Jesus will not be the one who is the second coming. The plan is for him to become the Messiah that the Jews are still waiting for. Thus we will have Jesus and the Christ working on the earth this time as two separate entities, one as messiah to the Jews and the other as a world teacher. It is not clearly revealed as to whether this will be a direct incarnation or working as an overshadowing. The hope is for Jesus to prepare the Jewish people to accept the higher teachings of the Christ. When they are doing their work they will be known by different names than Jesus and Christ. A lot of the spiritual work will be done before the world at large realizes that anything unusual is happening. One more note on Moses. He worked with a triangle of energy through his Higher Self, the Masters (which at the time most did not originate from earth) and the Ancient of Days at Shamballa. Most of the work was done through a direct connection with his higher self, but he did make contact with The Ancient of Days. Because of this great triangle of energy he was able to perform some of the greatest miracles in history. There will be a higher correspondence to the time of Moses when the Molecules are created. There will again be a triangle formed between the Spiritual life behind the Molecule, the Brotherhood of Light and the Ancient of Days. When the energies of the Father, Son and Holy Ghost become one upon the earth all things become possible. I was asked to elaborate on what happened after the crucifixion. The Christ left the disciple Jesus alone on the cross to complete his initiation. Actually He was not completely alone as there was still a connecting thread between the two, but so much of the consciousness of the higher entity departed that Jesus seemed to be alone. Then when he said “Father, receive my Spirit He realized that the connecting link yet remained and he decided to join the Christ outside of the body. Yet even as the two entities were outside the body there was yet a connection to the body through the magnetic silver cord as I mentioned earlier. Thus the body of Jesus was never completely dead. Death was not overcome by either of these entities individually, but through the molecular link that linked Jesus to Christ and Christ to the Ancient of Days and so on. The life giving power was sent down the chain and the Christ (male energy) with the assistance of Jesus (female energy) healed the body after three days. Jesus was the main consciousness in the body at the time of the appearance to the disciples, but there was still an overshadowing by the Christ, but more as a link rather than a divine possession from this point on. The plan to have Jesus appear as a Messiah to the Jews in our age (which was mentioned by Bailey) was not formulated at that time, but it was known that the Christ would appear in some manner at the beginning of the Aquarian Age. Even though Jesus was the main consciousness in the body they were still one because of the strong link. Jesus was speaking this on behalf of the Christ who was to come again in the far future.